Comments: ALTERNATE EDITION: INTERNATIONAL EDITION. SIMILAR TO U.S. VERSION BUT MAY VARY SLIGHTLY. Great used condition. Over 1,000,000 satisfied customers since 1997! We ship daily M-F. Choose expedited shipping (if available) for much faster delivery. Delivery confirmation on all US orders. 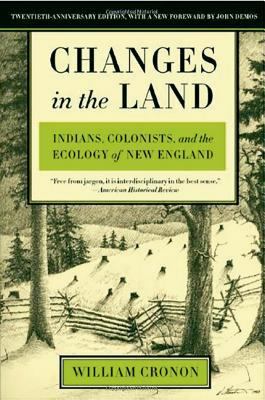 William Cronon is Frederick Jackson Turner Professor of History, Geography, and Environmental Studies at the University of Wisconsin-Madison.Cronon, William is the author of 'Changes in the Land Indians, Colonists, and the Ecology of New England', published 2003 under ISBN 9780809016341 and ISBN 0809016346. Loading marketplace prices 209 copies from $3.63 How does the rental process work?